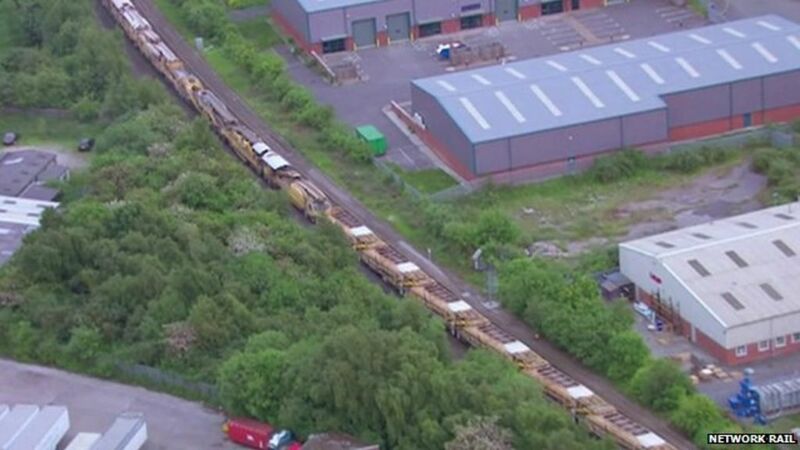 The 'longest train in Britain' is working through the night to replace ballast on the Norwich to London line. Working overnight to minimise disruption to train travellers, engineers for Network Rail use a massive 'ballast cleaner train' to remove the broken chippings underneath the tracks and replace them with more robust material. A look at Britain's longest train, a ballast cleaner train, which is helping replace old ballast on rail tracks between Norwich and London.